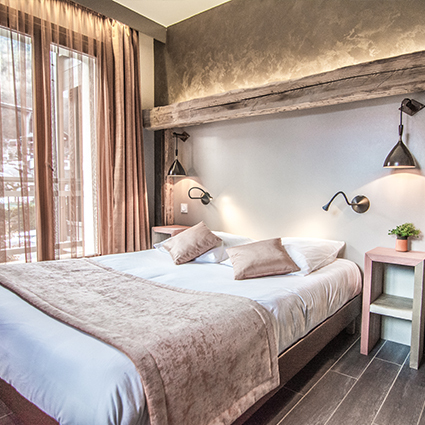 Our rooms are the perfect blend of contemporary design and craftsmanship. Each room is individually decorated to offer a sense of serenity and peace, with the mountain spirit subtly present throughout. All of our rooms have balconies to enjoy the wonderful views of the nearby mountains. 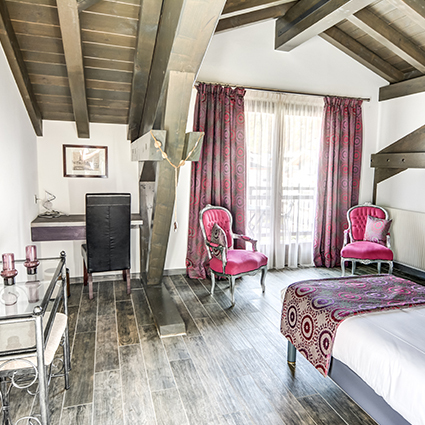 The charming decor is complemented by modern amenities : Free WiFi, an Italian-style shower or bath, and flat panel TVs with international channels as well as Canal+ and CanalSat. 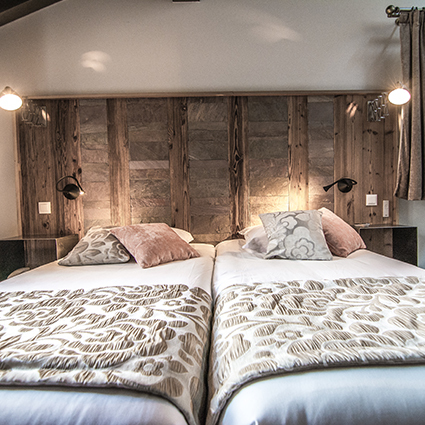 The hotel annex, “Le Chalet”, offers rooms in a more traditional style for a fantastic value. Two of our rooms are especially equipped for persons of reduced mobility and offer access ramps and other amenities.